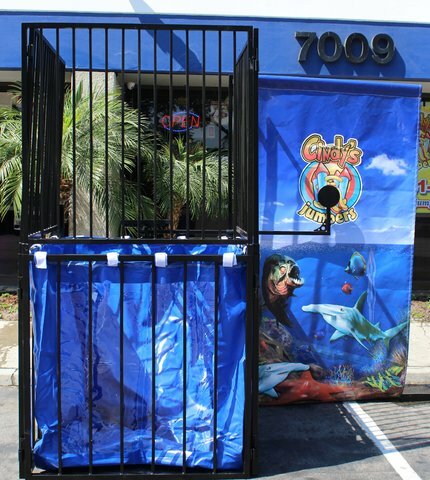 Dunk Tank rental holds 200 gallons of water and has large clear viewing window in the front to view person being dunk. Great for schools, churches and fund raisers. Minimum height to get dunk is 48" tall, and no more than the max weight limit of 250lbs. Dunk tank can take up to 1 hour to fill up depending on water pressure. We do not provide the water. Please select a set up area near a water source. Rental includes 3 softballs.